Looking for a USED A3020SDCECI? 1 - Series 30A, 1000 lb (454 kg) capacity Pneumatic Receiver with air blast. 2 - 30” x 19” x 1.25” (762mm x 482.6mm x 31.75mm) End Load Cast Iron Pallets. 1 - Series 40 End Load Shuttle unit with Automatic Door and indicator lamp. we take pride in the fact that we have been in business since 1969 and have grown the company to become a leader in the industry with a multitude of new and inovative products, state-of-the-art design and a firm commitment to quality and service. 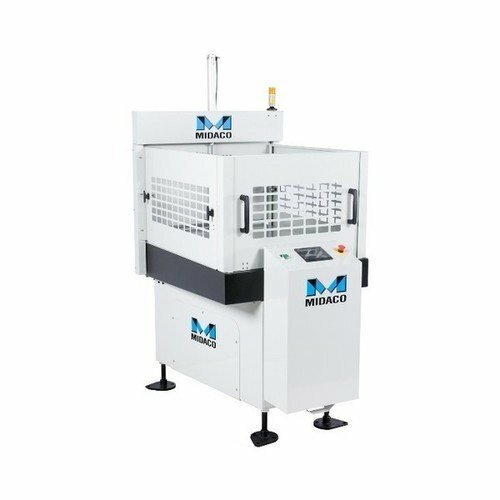 Looking to Purchase a New MIDACO A3020SDCECI?